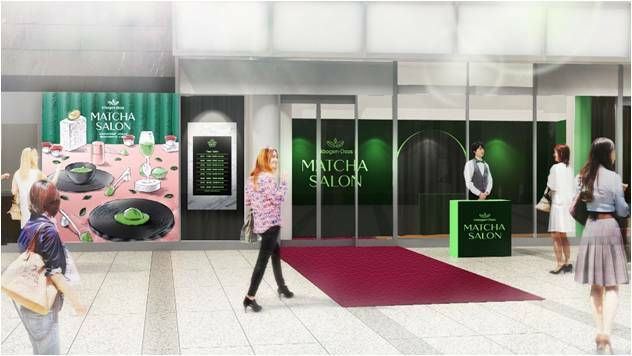 Häagen-Dazs Japan will opened a matcha-packed Matcha Salon for a limited-time at Roppongi Hills Cafe from April 24 to May 5. Häagen-Dazs first arrived in Japan in 1984 and has since been enjoyed for 35 years. 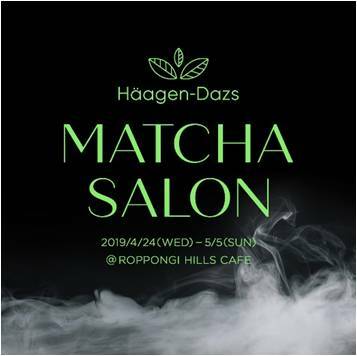 To celebrate this landmark, this Matcha Salon will serve up a 6-item green tea course to commemorate the Häagen-Dazs Green Tea ice cream, the first flavour that hit the Japanese market. After the green tea flavoured ice cream was released Häagen-Dazs went on to serve up flavours developed in America. In coming to Japan the company wanted to create a flavour that more met the demands of Japanese palates, and so they settled on matcha, an ingredient that has been enjoyed in Japan for hundreds of years. Much trial and error was carried out to bring out the creamy flavour of Häagen-Dazs ice cream and matcha bitterness which is what led to the Häagen-Dazs green tea ice cream. Tea leaf management is no easy task. The flavour of leaves can change completely from various factors such as the weather. To ensure Häagen-Dazs Green Tea could be preserved and made consistently, staff carry out organoleptic tests to create a tea leaf blend that Häagen-Dazs can use. Since matcha is weak to heat and light, the powdering of the tea leaves is done in a dark room. This is done inside a millstone which does not heat up as easily as metal, ensuring residual heat does not get into the tea leaves. Because of this delicate process, only a dozen or so grams of matcha can be made in one millstone every hour. Special cups were even developed to package the green tea ice cream which makes it hard for light to get in. If you’ve yet to try this special ice cream made for Japanese people then make sure you get the chance.